The owner of Paramount Fine Foods donated $25,000 Monday to an organization dedicated to monitoring and countering hate groups after a big win in a defamation lawsuit. 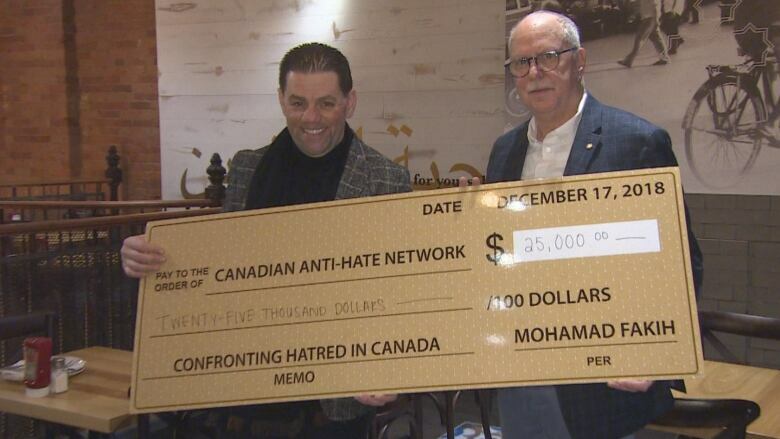 The money was donated to the Canadian Anti-Hate Network after a settlement with Ranendra (Ron) Banerjee, who made disparaging remarks against Paramount Fine Foods and its owner Mohamad Fakih, in an online video last year. In the video, filmed outside a Mississauga Paramount Fine Foods, Banerjee made the remarks alongside Kevin Johnston of Freedom Report. 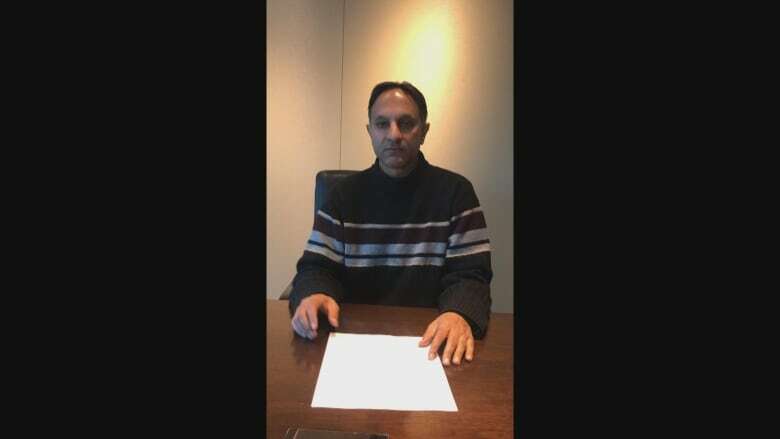 As part of the settlement, Banerjee released another video in which he apologized for his comments. "I have learned that it was wrong to attack Mr. Fakih​ because of his religion or where he is from. Such hate has no place in Canada," he said. "I hope everyone seeing or reading this apology learns from my mistake." Fakih said in a statement that he was pleased with the apology. "It sends a strong message that people cannot get away with defaming others and sharing fabricated statements online that risk people's sense of safety and well-being," he added. "I have been very concerned for my family since this whole ordeal began and continue to be worried." Bernie M. Farber, chair of the Canadian Anti-Hate Network and former Canadian Jewish Congress CEO, said that the organization was "immensely grateful" for Fakih's donation. "Mr. Fakih demonstrated a true sense of courage and civic responsibility," Farber said in a media release. "In standing up to this virulent Islamophobia, Mr. Fakih spoke out on behalf of all who have suffered racism, bigotry and hatred. He made it clear that anyone promoting hatred can and will be pursued to the fullest extent of the law." Farber previously wrote about the incident involving Banerjee and Paramount Fine Foods for Now Magazine and Canadian Jewish News. A lawsuit was also launched against Johnston. The case is still ongoing.